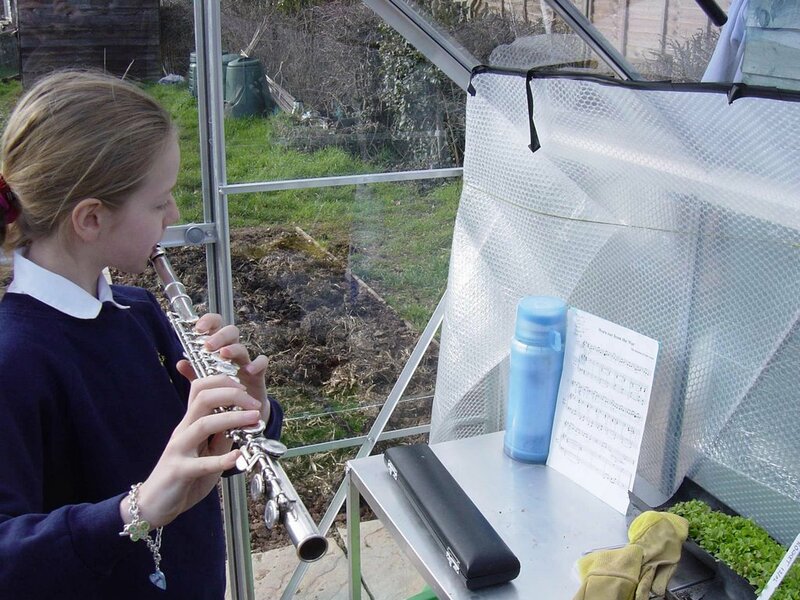 I've noticed that one or two of the other allotment blogs have a musical bent and was therefore very pleased when my Godson Morgan appeared on site today together with his sister Tilly. 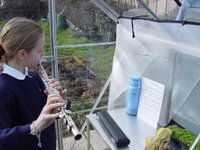 Tilly had come hot-footed from winning a prestigious flute playing competition and was persuaded to give the salad seedlings an impromptu concert. I will have to dig out my recorder and perform to the marrow next week, perhaps that old Blow Monkeys tune, 'Digging your Scene'. Could bring my 4 God Trolls down, complete with trombone, leccy guitar, flute and drum kit. That would get the lettuces going. unleashed a helping of 'Bend & Flush' by the Pork Dukes, at 100db. They might lean in the opposite direction! You could always use a nice little jazz number by 3 Bean Salad! You can't beat radio one! I leave my solar powered radio on so when its bright my tender seedlings have something to listen to. Must be working as my sweet peas for my wedding are already 9 inches tall!